Millions of people suffer from digestive issues. I have mentioned on this page the four most common causes as well as their solutions. 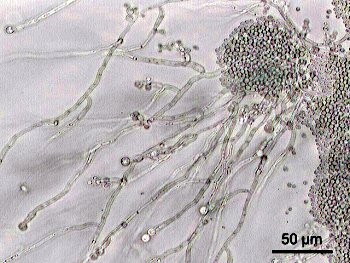 Candida albicans at 200X magnification. Picture courtesy of wikipedia. Candida overgrowth occurs in the body when the good flora is eliminated and the yeast begins to overgrow. This occurs with a traditional diet of highly processed foods and carbs. 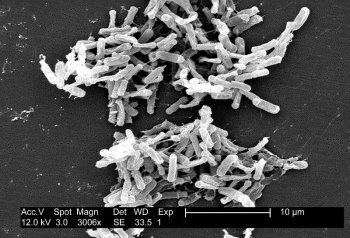 C. Difficile is a bacterium that can cause many different symptoms like diarrhea and a fatal inflammation of the colon. This type of infection is becoming increasingly common and very difficult to treat. The bacterium often cause problems after bouts of antibiotic use. C. Diff is present in many healthy individuals who are not bothered by it. Those who have lowered numbers of good flora can see a dramatic increase in their C. Diff numbers, giving rise to diarrhea and more serious illnesses. The good news is that people who are treated for C. Diff generally recover and do not have any lasting damage. There are several natural treatments that help to reduce the Candida and C. Diff numbers, allowing for improved health. While it can take time to control these numbers, it can be done with a strict regime. It just takes finding the right method for you. Fermented Garlic – Garlic is a natural antifungal and has antibiotic properties. Consume this food as much as possible to stop the overgrowth of Candida and C. Diff. Virgin Coconut Oil – Virgin Coconut Oil helps to kill of the yeast and C. Diff bacteria. You should start with one teaspoon per meal and then increase your amount until you are up to one tablespoon per meal. Homemade Yogurt – Goat’s milk yogurt can help to bring down the Candida and C. Diff levels in the body. Yogurt is simple to make and should be fermented for at least 24-48 hours to ensure that the cultures are present and there is no more lactose. Many people having heartburn or burning sensations in the stomach actually have low stomach acid. They have been misled over the years into believing that they have a lot of acid in their stomachs, when in fact, they have low stomach acid. This is often caused by huge bacteria numbers in the gut and the mal-digestion of carbohydrates. Those who have been diagnosed with Celiac Disease, IBS, and other stomach problems are more prone to having issues with their stomach acid levels. If low stomach acid is not corrected, it can lead to stomach cancer, asthma, rheumatoid arthritis, and other diseases. Low stomach acid is a serious condition that is very treatable, but many doctors tend to diagnose the problem as being too much acid. When people with low stomach acid are given an antacid, it appears that their symptoms go away. This leads them to believe the problem is an overproduction of acid, when it is in fact, low stomach acid all along. It is quite easy to test yourself at home to see if you have low acid in the stomach with the betaine HCL test. There are also tests that your doctor can perform to find out if you have low stomach acid. The Heidelberg Stomach Acid test is the most well known and respected stomach acid test. Be aware that this test is expensive though. Filtered apple cider vinegar – Apple cider vinegar should be filtered with the mother (web) removed before drinking. The acid in the vinegar helps to raise stomach acid levels and prevent heartburn. You should start out by taking a teaspoon in a cup of water with each meal. Not everyone can tolerate the vinegar, so you will have to see how your body reacts to it. Zinc supplements – Those who suffer from low stomach acid almost always have low zinc levels. To supplement these levels, you will need to take a zinc supplement. Zinc cannot be absorbed by the body when there are low stomach acid levels. To bypass this, you should preferably purchase a zinc supplement with the albion gold seal of approval. Raw unpasteurized honey – Raw honey has been shown to regulate acid production. Its effects start as quickly as 5 minutes after ingestion and last as much as 40 minutes. The recommended dosage is one teaspoon three times a day with meals. Betaine HCL – This helps to increase the low levels of acid in the stomach so that digestion is improved. These are typically taken with meals that include protein. There is no one size fits all dosage. It will take trial and error to find the correct dose for you. You can start out with one pill and increase until you get results. Eating Sauerkraut – Eating fermented foods like sauerkraut can help to raise the low acid levels in your stomach. You should consume fermented cabbage with as many meals as possible to see a dramatic change in how you feel. Any of these methods can help to correct the pH in your stomach and correct the problem of low stomach acid. It may take time and finding the right combination of therapy, but it can be done. By improving your stomach acid levels, you will be better able to digest your foods and absorb the vitamins and minerals in your foods. Leaky Gut is a common condition among those with intestinal issues. It occurs when the gaps that are in the membrane lining of the intestines become wider, allowing for waste and undigested foods to enter through the gaps and into the bloodstream. This causes widespread inflammation and confusion in the immune system, as it begins to attack the body through autoimmune conditions. Grains are one of the biggest culprits of Leaky Gut. This is especially true of whole grain as they cause great damage to the gut when they are consumed. While having Leaky Gut can cause many different health problems, it can be treated, allowing the gaps to close and the gut to heal. These methods of treatment involve the use of supplements and some foods to speed up healing and stop the constant flow of waste into the bloodstream. L- Glutamine – One of 22 different amino acids that are needed in the body, L-Glutamine helps to tighten up the loose gaps in the gut, allowing them to heal. Bone Broth – A cup or two of rich bone broth per day can go a long way towards healing your leaky gut. The gelatin in the bone broth can do wonders for healing the gut and closing those gaps, making them tight as they are supposed to be. Zinc – Is instrumental in helping to heal the gaps in the intestines. It is normally taken in around 150 mg doses and can help to heal Leaky Gut in as little as eight weeks of therapy. Do not take more than 100mg of zinc per day for a long period of time though, as it will reduce copper and iron absorption. Toxicity – Picture courtesy of Paul G. on flickr. Most people today have highly toxic systems. This is due to the vast quantities of toxins that invade our bodies and accumulate over our lifetimes. Once these levels reach a certain high, they begin adversely affecting our health. 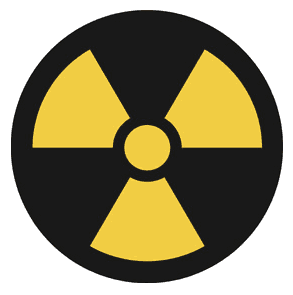 Toxic levels often go unnoticed until the levels are so high that symptoms begin occurring. Studies have shown that at the very least, 400 to 800 different poisons reside in our cells. Our bodies are full of toxins like benzene (a known carcinogenic), dioxins, PCBs, dichlorobenzene, and xylene. These toxins get stored deep within our fat cells and cause cancer and other diseases. Through the pesticides in our foods and the chemicals in our plastics and carpets, we are literally being poisoned. When these toxins cannot be removed from our bodies, they move to the liver (who most of the time cannot keep up with the overload) and then into fat cells for long-term storage. The vast accumulation of heavy metals, poisons, and toxins can cause long-lasting and even permanent psychological and physiological problems that can lead to disease. The only way to remove these toxins and heal is to detoxify the body. There are many ways that this can be done. The following methods are all natural and safe. If you are experiencing symptoms such as headaches, inflammatory diseases, autoimmune diseases, chronic fatigue, and skin conditions, you are most likely full of toxins. It may take some time, but these toxins can be eliminated. Clay Baths – One of the most effective ways to remove toxins from the body is through detox baths. Detox baths help to release toxins from the skin pores and thus reduce their numbers in the body. One all-natural method of bath detox is to use Bentonite Clay. This naturally-forming clay helps by magnetically pulling the toxins from the body. It helps to pull heavy metals from the body. The Peruvian McCaw consumes the clay that is found in nature before it eats poisonous berries. If this clay keeps the bird from becoming ill, imagine what it can do in removing toxins from the pores. Contrast Showers – Another way to reduce toxins in the body is to do contrast showers. Contrast showers are an easy way to detoxify the body. It is a simple process that involves taking a hot shower. After the hot shower, you slowly decrease the heat until the water is as cool as you can tolerate. This temperature change helps the body’s nervous, endocrine, circulatory, and immune system, helping the body to work more efficiently in removing toxins and in dealing with both psychological and physical stress to the body. Juicing – Yet another way to combat the buildup of toxins in the body is through juicing. Juicing is wonderful for the body and can help to remove toxins very quickly. By drinking green juices made from the freshest organic greens, you can remove the offending toxins and free your body of these poisons. Kale juice is one of the best juices that you can make. Juicing should be done twice a day to improve the health of the body. Once toxin levels have been eliminated as much as possible, twice weekly maintenance juicing should be done. Previous: Previous post: What Can You Expect from the SCD Diet? Next: Next post: SCD Buddy: Our 1st Mobile Application is Live! It’s Free and it’s On Android. I take Unfiltered Apple Cider for my GERD, and it is amazing. NO GERD pretty much ever. If I skip it for a few days, it comes right back. I have been doing this for 2 years. I’ve never heard of doing it filtered anywhere?! Why filtered? Just curious. Hi Melissa, thanks for stopping by. If yours contains The Mother, filtering can be done with a sieve of some kind that has fine filter holes.